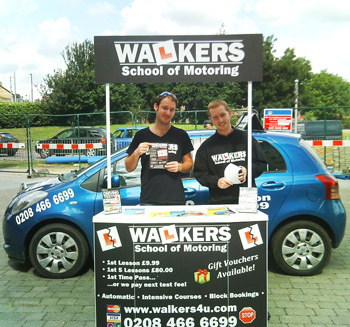 Walkers School of Motoring are a long established driving school and have taught 1000's of pupils to drive through out London since we started in 1981. Walkers are a family business established by Martin Walker and is now managed by myself (his son) Adam Walker. We have instructors working throughout Greater London and the core of our instructors have been with us for over 20 years. Every week we take over 100 new bookings on average. That is over 5000 new pupils per year and we use Tutor Diary to manage the huge amount of data we accumulate. Only 3 years ago all of our operations were paper based, finding details for existing pupils was a nightmare and time consuming! Now all it takes is a few seconds to search the database. Tutor Diary completely revolutionised the way we work as a company and allowed us to focus on giving our customers an excellent service. Pupils receive instant notification when their lessons are booked and our Instructors can log in online to see their diaries. Gregory, the programmer and tech support of Dedoc Software provided an excellent service and ensured the software met the demands of our company; he even tailored additional modules to our specifications with perfect implementation. He added a payment facility as well as a fleet management tool. Our company has a fleet of over 30 vehicles, which is sometimes difficult to keep track of, since they are all regularly changing hands. We use mainly Nissan Micras and Toyota Yaris. These are both brilliant cars for driving tuition since the pupils find them very easy to drive and they are a great size for performing manoeuvres. Also they have a small engine size so they are very energy efficient for the instructors. With the fleet management system we have instant access to the location of a vehicle, who is driving it, insurance and maintenance details, everything, all at the touch of a button! Since we have so many pupils our instructors are really happy to work at Walkers and they enjoy the benefits of our efficient management (Thanks to tutor diary) which greatly improves our service to the instructors. We teach over 5000 pupils per year to drive and we have a very high pass rate which is great for pupils and our instructors. Lessons are available in many languages, we currently teach in Portuguese, Spanish, Hindu, Hebrew, Albanian and German. All our instructors have different approaches to helping learner drivers and we do our best to match pupil to instructor. We always find out what kind of learning best suits the pupil so we can find them the most suitable instructor. Because we have a large pool of instructors to draw on, we can always transfer the pupils to an alternative with little fuss or bother. 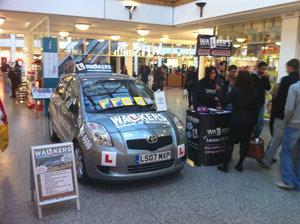 At Walkers we actively encourage and help our instructors to be as successful as possible as driving instructors. We offer additional training to improve and refine their skills as instructors and to keep up with CPD and we help with the management of their workload and diaries. To become a driving instructor at Walkers just speak to our management team, we offer different franchise options and are happy to accommodate different instructor requirements. 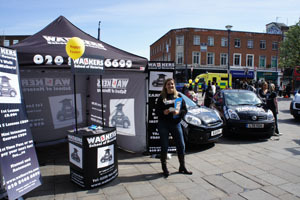 We have built long lasting relationships with our instructors; the atmosphere is very friendly at our office in Bromley. A lot of the instructors come into the office regularly for a coffee break and to have a chat with the reception staff. At Walkers you will get to know other instructors, which is great when you spend most of your day sat in a car with pupils! I myself love working at the company. Over the last few years we have seen so many improvements, increases in pupils numbers and pupil passes, it is good to know the changes we make have made a difference. I believe in Walkers very much and would love to see it expand. I definitely think we are on track, thanks to Dedoc software we have brought the company to the 21st Century.